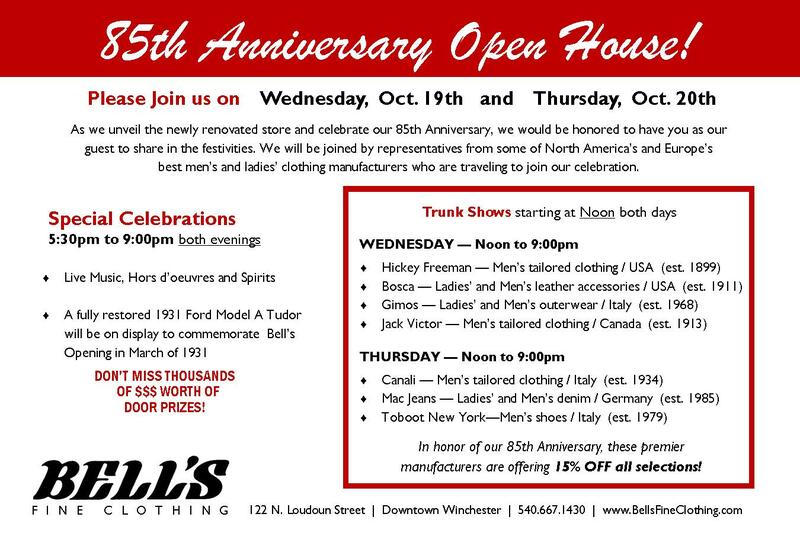 Join us for the 85th Anniversary Open House! - Bell's Clothes, Inc. The renovation is over and we welcome you back into the new store … along with celebrating our 85th Anniversary! Please come, visit and stay a while! The celebration takes place October 19th and 20th. Please come one night or both and help us show off the new store!